Live your Craft every day with Llewellyn’s Witches’ Companion. 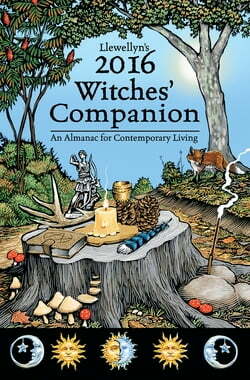 This indispensable guide will keep you one step ahead of the latest witchy trends, Craft practices, and Pagan issues. This year’s edition is filled with wry and thought-provoking essays—transitioning to a Pagan lifestyle, lessons... read more in kindness from the grasshopper and the ant, Pagan Standard Time, witchy ways of eating, banishing and polarization, magick spells for kids, recognizing and combating the evil eye, a guide to smudging, creating your own magical moniker, and much more. Also featured is a sixteen-month calendar and lunar information to fuel your spellwork and rituals.